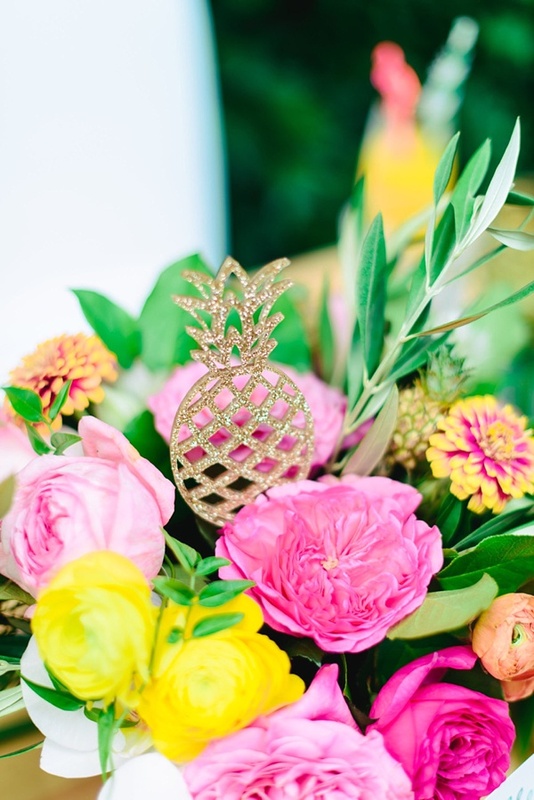 Whether you hail from Williamsburg and its pineapple-bearing self or are a total summer bird for all things tropical, the pineapple is the symbol of ultimate hospitality... making it perfect as the theme or inspiration for any bridal shower! 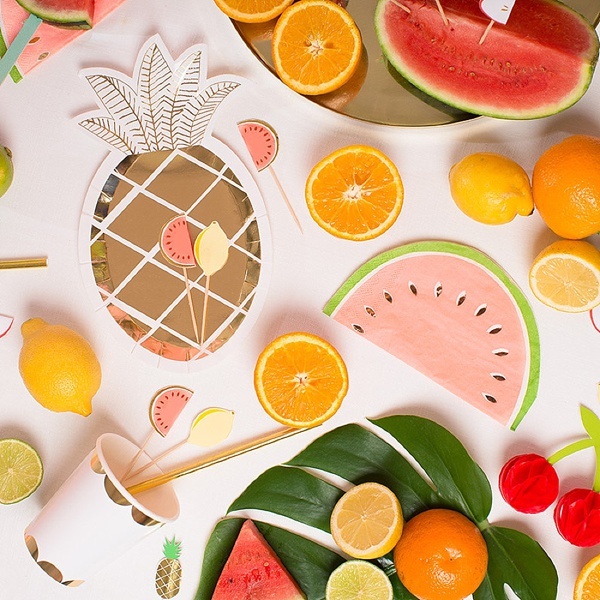 Welcome your guests with some fruity beauty and channel your inner pineapple. As one of our favorite quotes says, "Be a Pineapple: Stand Tall, Wear a Crown, and Be Sweet on the Inside." We raise our sunglasses and sunny vibes to all these super fun pineapple-inspired bridal shower goodies! 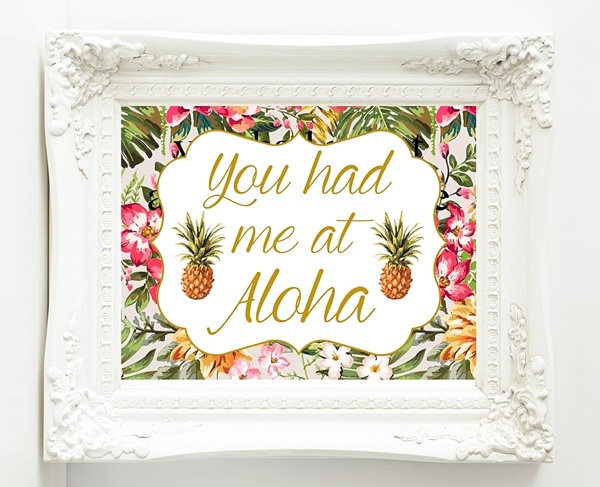 Set the tone the moment guests arrive to get their aloha on! This adorable sign can be printed off and placed in your favorite frame. Whether it's poolside or at the cocktail bar, we love how chic and fun this sign can be! 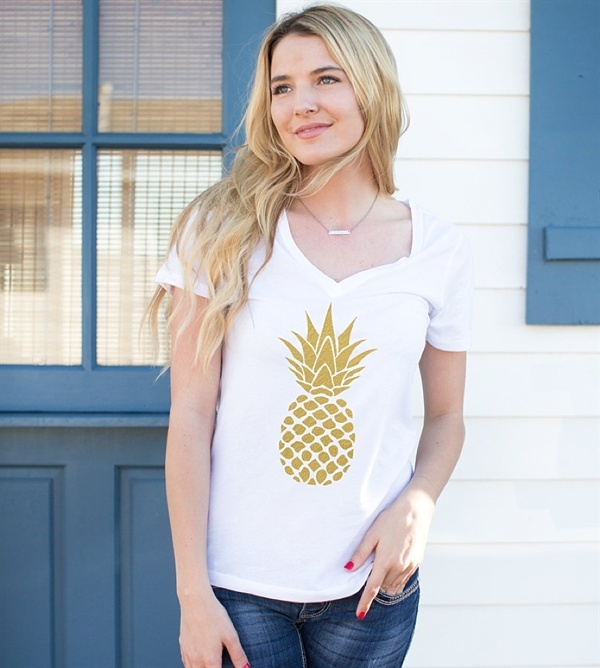 Whether you treat the bride with this pretty number or have all attendees don their own golden pineapples, this summery shirt is a great wardrobe option for the more casual bridal shower! 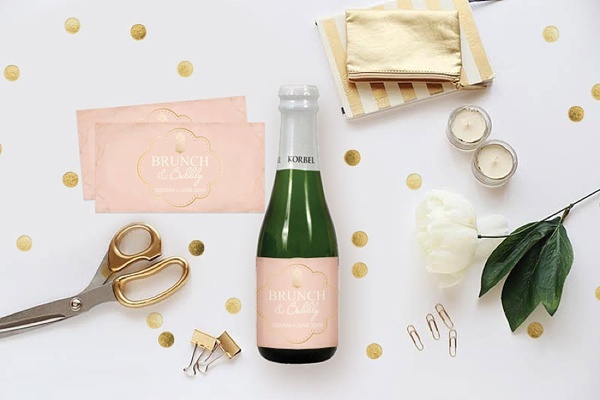 Super easy and super chic, these pretty printable champagne labels can help transform regular glass bottles into truly glamorous pineapple party must haves especially if you're hosting a late morning celebration! Versatility is the name of the game with these sparkly acrylic pineapple picks! Put them in cupcakes, floral arrangements, finger foods, and so much more... sky's the limit with these tropical cuties. Glittery and basically summer on a string, this pineapple garland can hang in a doorway, along the side of a food table, or on the back of the bride's chair. Best part of party supplies is when something has multiple uses, and heck, who doesn't love pineapples in multiples!? Anything with a Cyndi Lauper reference is a winner! 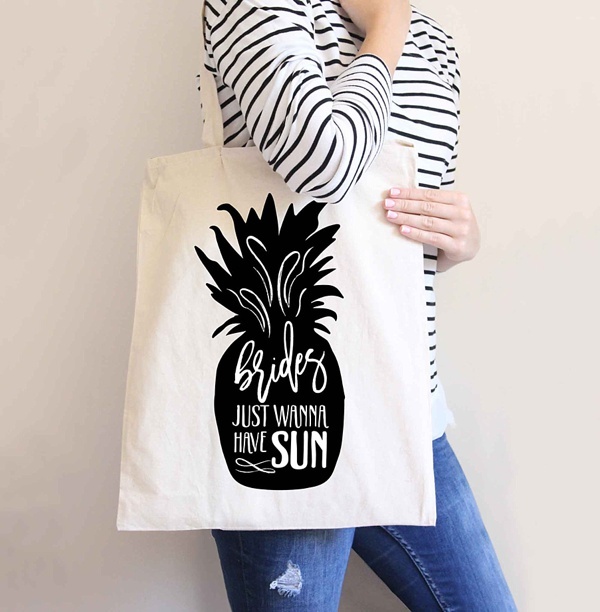 And this pineapple meets bride meets summer in a bag is bridal shower perfection that can then be used again on the wedding day! 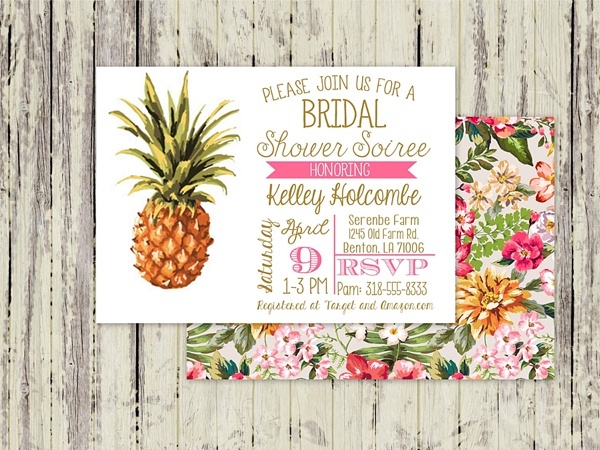 Coordinating with that fun Aloha sign mentioned above, this modern and fun pineapple bridal shower invitation is the first look at what your party theme is and lets the guests know what to expect... and if we were to receive a pineapple-emblazoned invite in the mail, oh yessss. We'd be singing pineapple ditties for days leading up to the celebration! 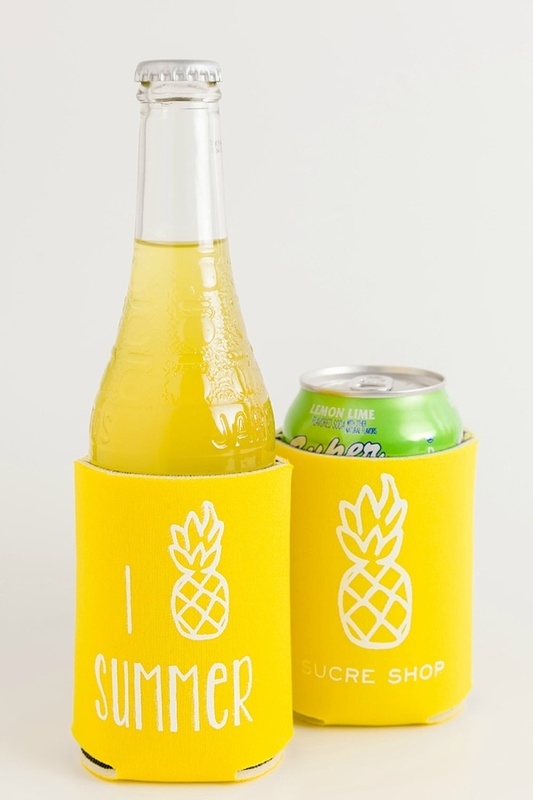 It's no secret we love things that have multi-uses or can be used again... and these sunny yellow pineapple koozies do just that! Celebrate during the bridal shower and then take it back to your next pool or beach adventure! Eco-conscious and seasonally perfect! 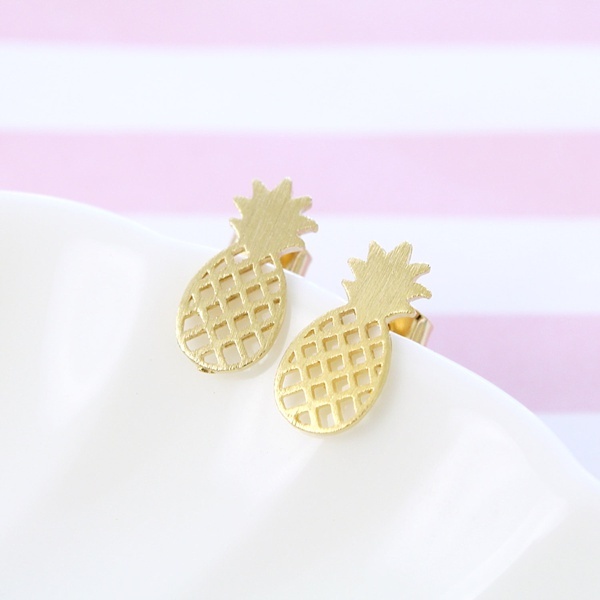 As shower favors or as gifts for the bridesmaids, these sweet little earrings give that special pineapple-y touch to the ladies in attendance. Who wouldn't want a floating pineapple? 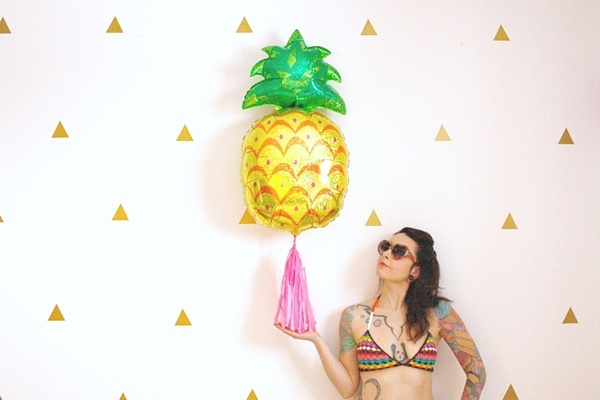 For photos, for decoration, or just because, we love this pineapple balloon with a customizable color tassel! Hello, party fun! Your invites need envelopes! 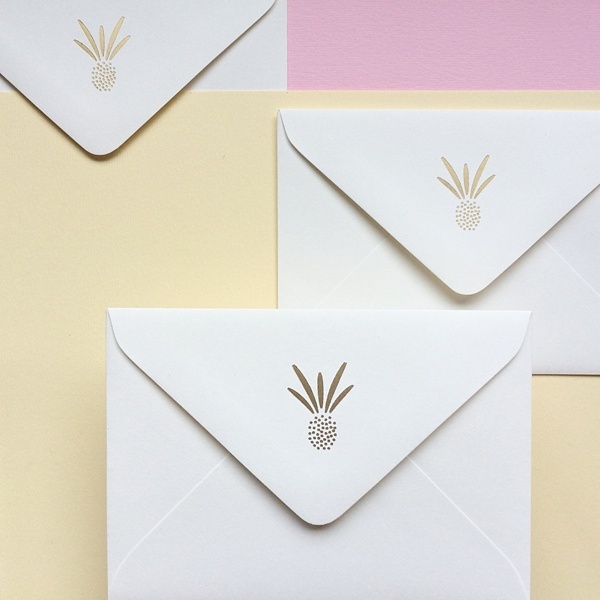 These gold foil stamped envelopes is chic tropical in a simple fashion. And if you have any extras, use them as part of your bridal shower games or for your thank you notes. Oh, hey there, most adorable pineapple cake topper ever. 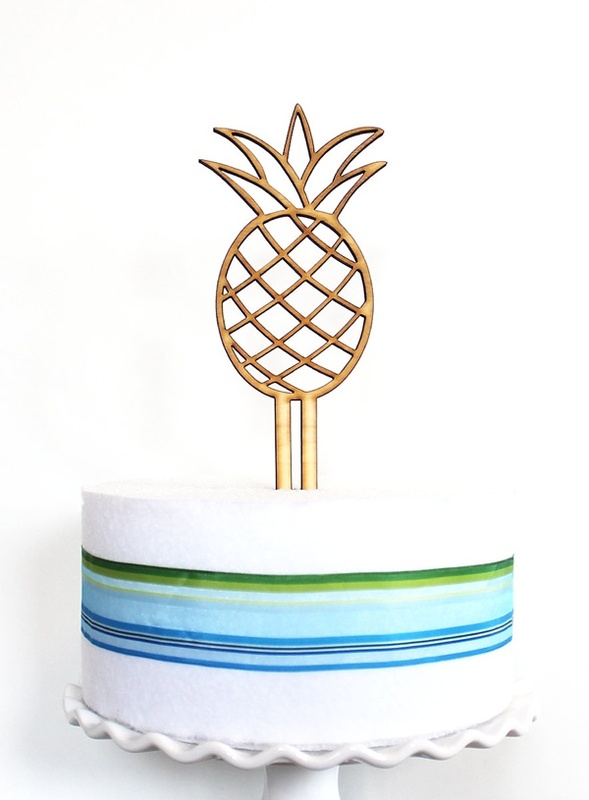 The unpainted quality of the topper allows it to be customized to your party's colors making it great for any style direction you take your pineapple bridal shower! Aloha when paired with your beverage of choice! 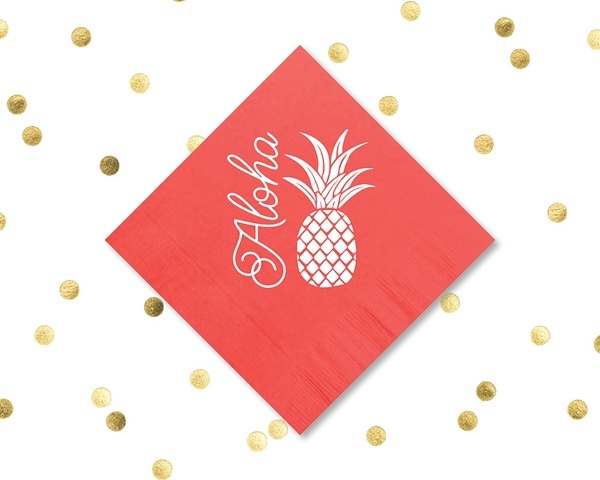 These playful napkins comes in all sorts of colors even metallic foils. So whether you're having a brightly colored luau or elegant "pineapple of hospitality" soirée, these can transform your signature drinks no matter the style. Unique and stylish, gone are the days of just plain ole white paper plates! 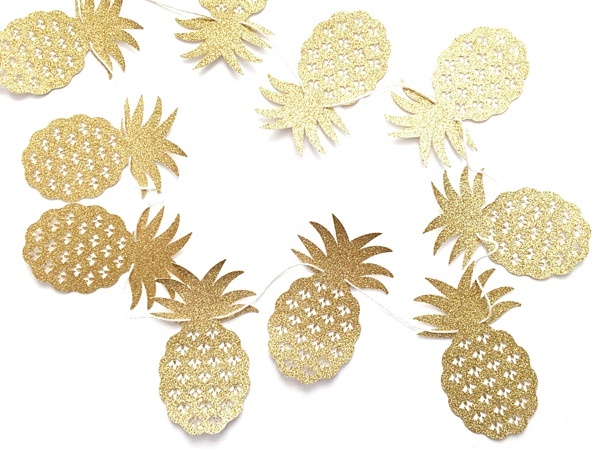 These golden pineapple ones are perfect for a poolside or picnic styled bridal shower! Quick cleanup, no chance of things breaking, and totally Instagrammable. How are you going to celebrate the pineapple?